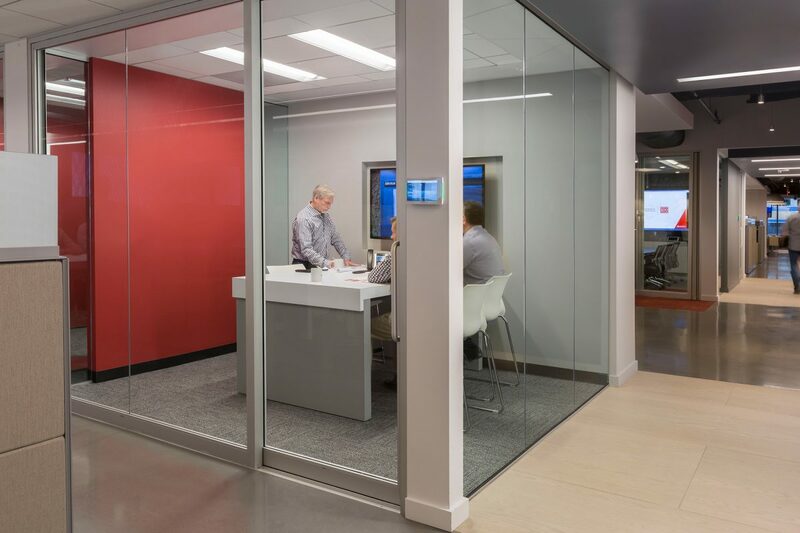 Team-oriented workplace provides access to varied venues for collaboration. 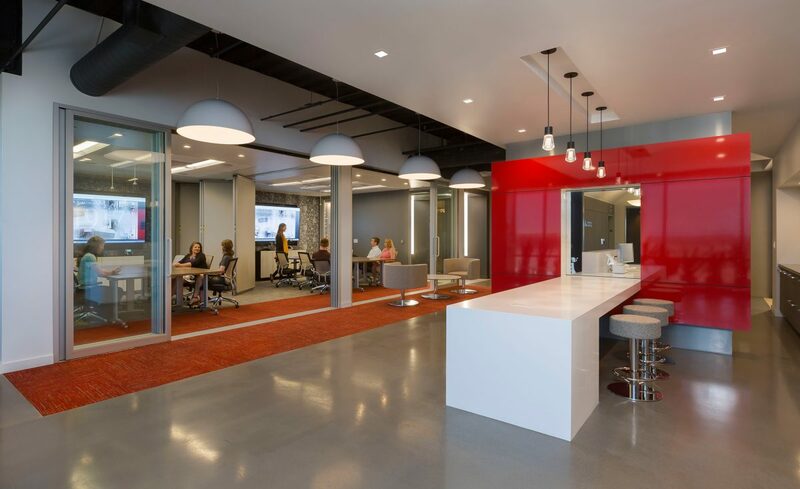 Golden 1 Center, Sacramento’s new arena, ignited the office market in the Downtown/Midtown urban core. 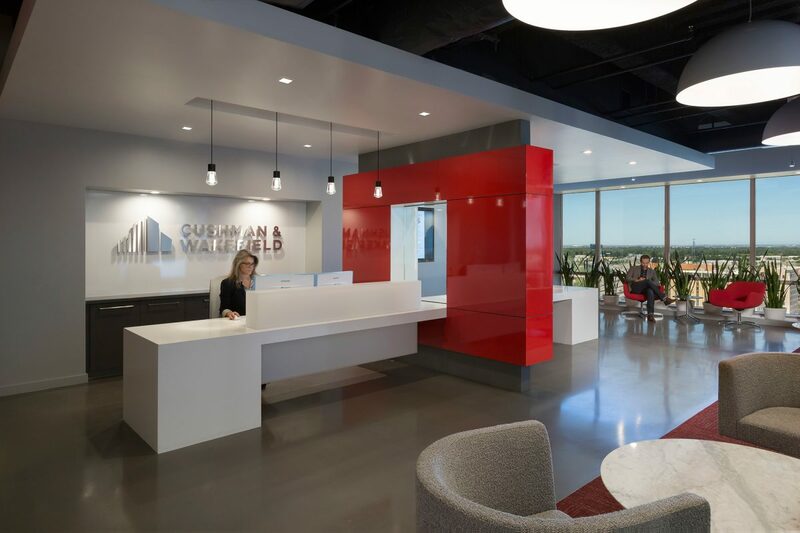 In response, Cushman & Wakefield hired additional brokers and needed more space. 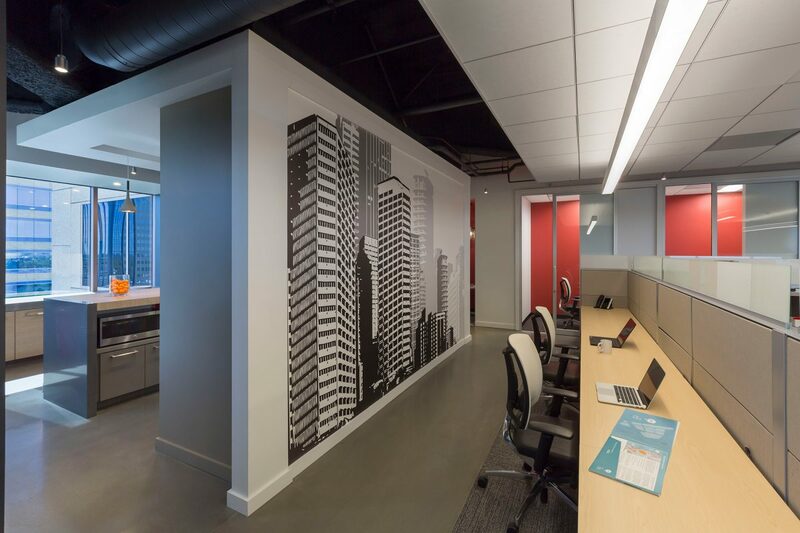 RMW initially studied merging their 6th floor suite in Wells Fargo Center (designed in 2013 by RMW) with an adjacent suite. 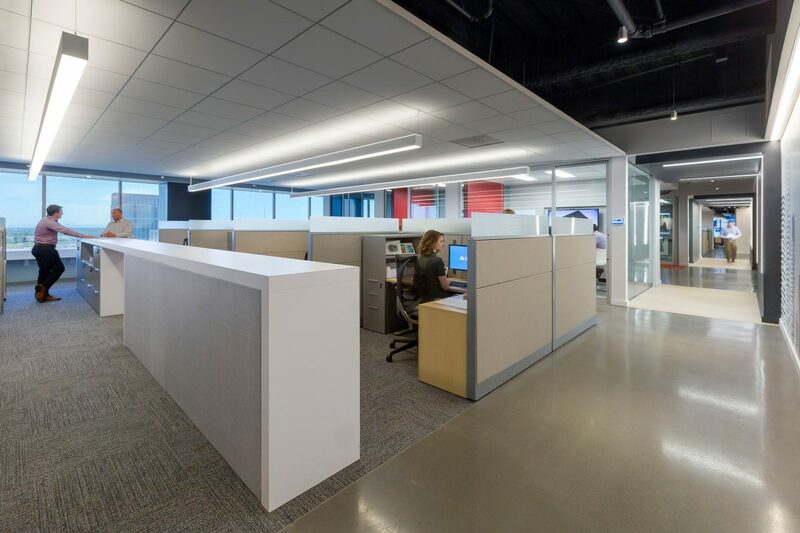 But, the resulting narrow linear configuration would not support a team-oriented workplace. Fortunately, a leasehold better suited to CW’s goals became available on the 18th floor, and a deal was struck. 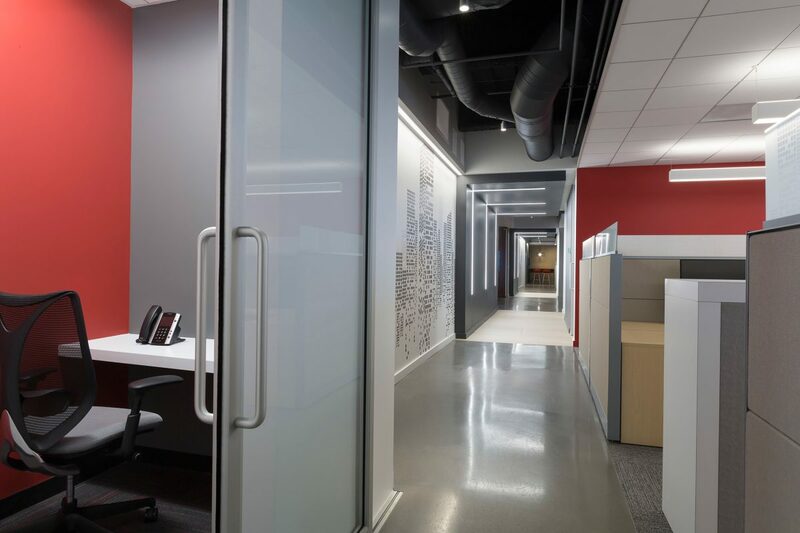 RMW shifted focus to the new suite and was directed to design a custom interior based on CW’s corporate global branding standards. 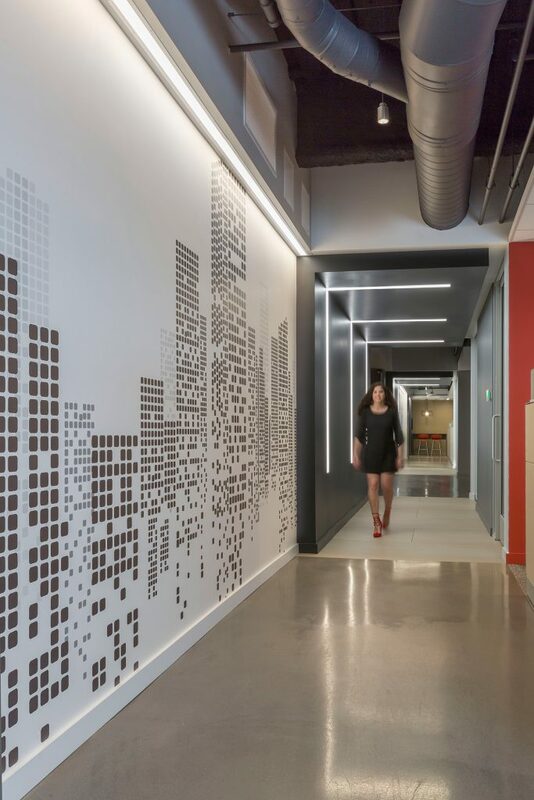 Further, the client wanted their workplace to achieve the look of CW’s San Francisco office at a mid-market price. 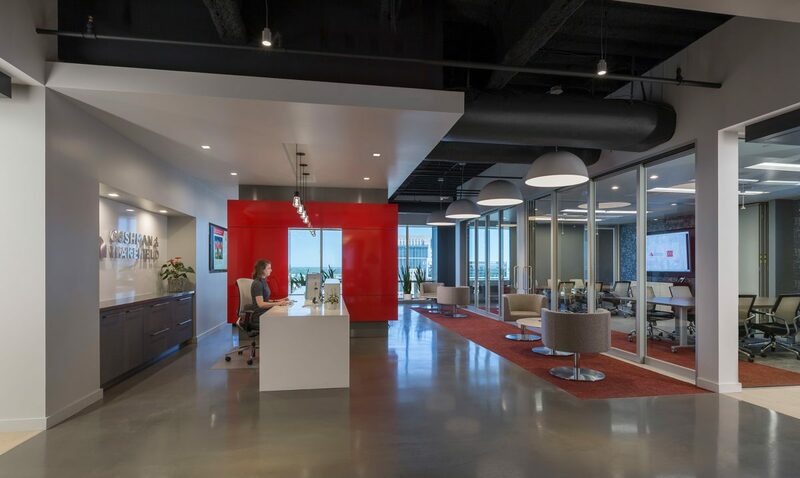 Perimeter circulation with views to the Sacramento River and urban skyline provides well-defined access to varied work settings for interaction in both public and private venues. 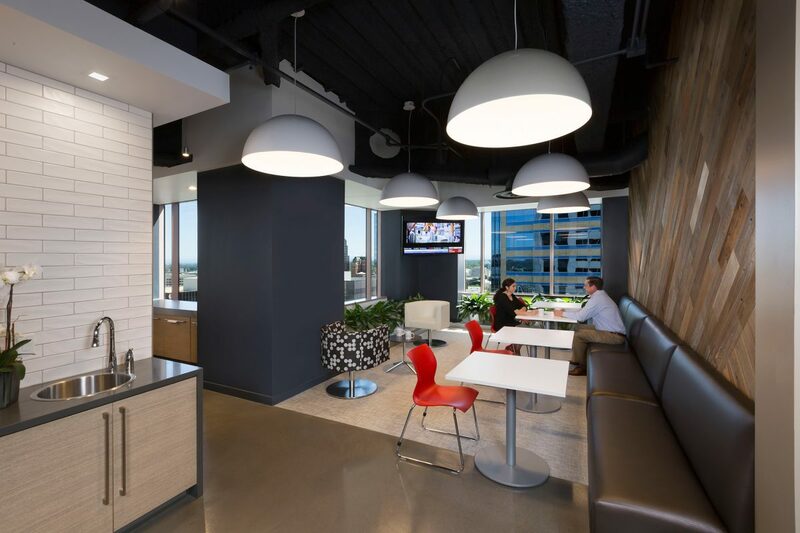 Open office design based on Cushman & Wakefield’s branded corporate standards. 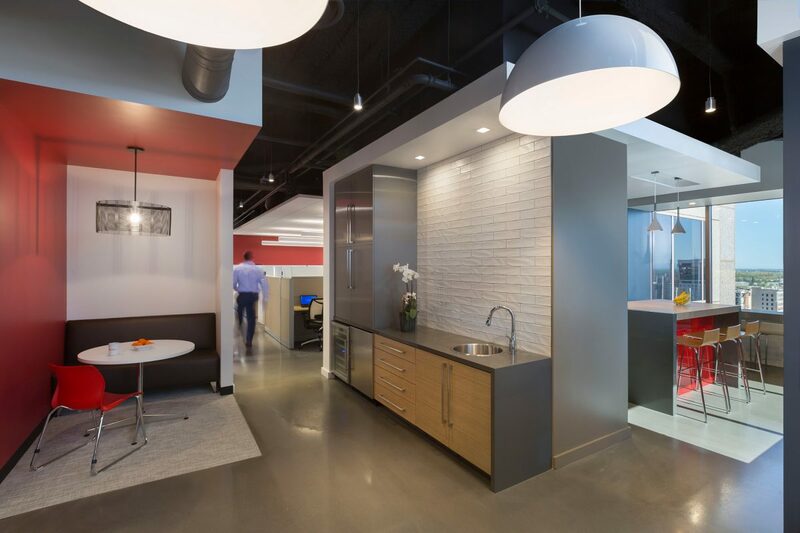 It achieved an aesthetic similar to Cushman & Wakefield’s San Francisco office at a reduced cost.